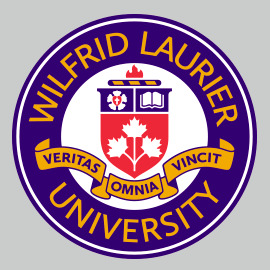 Wilfrid Laurier University values the essential role that diversity and inclusivity play in higher education and in a just and healthy society. Laurier is a global community. Our students, faculty and staff embrace our global makeup as we bring to life our institutional proposition of ‘inspiring lives of leadership and purpose’ each and every day. In addition to celebrating a diverse student population as part of Laurier’s international exchange programs, our students themselves undertake many global initiatives both in and out of the classroom. Laurier’s International Students Overcoming War group, aided by contributions from our entire student body, has welcomed two women from the Middle East to study toward undergraduate degrees at Laurier through a partnership with Daughters for Life, and has sponsored four additional international students from areas of the world affected by violent conflict through a partnership with Jusoor Syria. Laurier’s World University Service of Canada (WUSC) Student Refugee Program raised awareness about the plight of refugees through its mock refugee camp led by a WUSC student refugee, and is currently sponsoring two students from Sudan and three students from Somalia to study at Laurier. Laurier students, staff and faculty members also sponsored three Syrian refugee families to live in Waterloo and Brantford. We share these initiatives because the need has never been greater to demonstrate that diversity and inclusivity form the heart of who we are as a university community. When faced with events such as the U.S. government’s recent executive order on immigration and the shooting at a mosque in Quebec City, we must stand up, declare our values, and support one another. As an institution and as a community, we stand for justice, diversity and inclusivity, and the courage to engage and challenge the world in all its complexity. Members of the Laurier community looking for information or support can contact Peter Donahue at Laurier International at pdonahue@wlu.ca, or Laura Mae Lindo in Laurier’s Diversity and Equity Office at llindo@wlu.ca. The Diversity and Equity Office held a healing space from noon to 4 p.m. on Jan. 30 at Laurier’s Waterloo campus. There will be a healing space from 1 p.m. to 4 p.m. on Feb. 1 at Laurier’s Brantford campus (Office 300, 2nd floor, St. Andrew's Community Centre, 95 Darling Street). The Diversity and Equity Offices in Waterloo and Brantford are also open during business hours for support. Laurier also issued a statement the morning of Jan. 30: Laurier responds to U.S. executive order; affirms commitment to diversity and inclusivity.